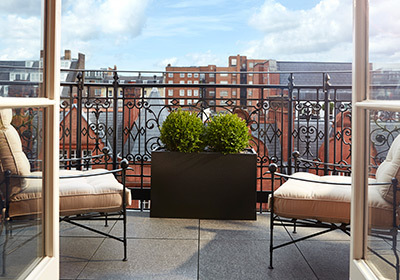 Make the most of London with Claridge’s as your base, situated within chic Mayfair. Highlights include the famous Claridge’s Bar, Michelin-starred Fera and one of the finest afternoon teas. Exclusive extras include your fourth night gratis; a room upgrade, if available; breakfast daily; a GBP 60 dining or spa credit; and more. Connect with your Virtuoso travel advisor for rates. Available July 14 – September 10, 2016; book by September 1, 2016. 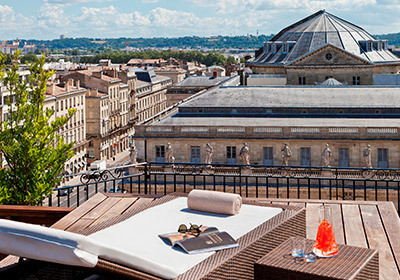 Summer in Bordeaux is divine, and the dining is spectacular when you receive a EUR 40 food and beverage credit (excluding Le Pressoir d’Argent Gordon Ramsay) at the lovely InterContinental Bordeaux – Le Grand Hotel, a special gift just for Virtuoso guests. In addition, you’ll save 15% off the best available room rates this summer, so connect with our Virtuoso travel advisor today. Virtuoso ratesFROM EUR 315 (approx. $357) per room, per night. Available July 1 – August 31, 2016. 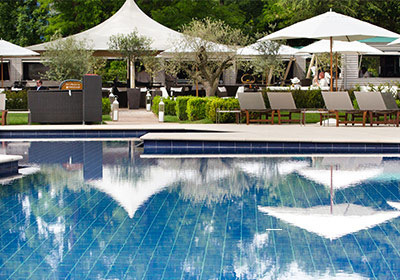 Virtuoso guests are greeted with a $100 spa services credit at La Réserve Genève – Hotel, Spa and Villa, where amenities also include a room upgrade, if available; breakfast daily; and more. The spa is devoted to healthy living. The city resort sits on the shores of Geneva Lake with private access to the lake and service to the city center in an elegant Venetian boat. Connect with our Virtuoso travel advisor for rates. Available throughout 2016. 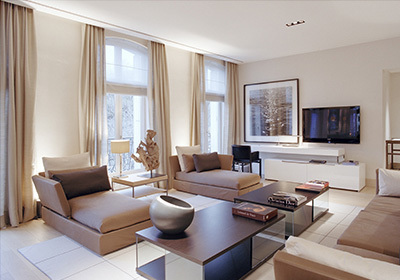 Gift yourself with an extra night’s stay at La Réserve Paris Apartments courtesy of Virtuoso. These inviting apartments immediately make you feel like a local – and boast a fantastic view of the Eiffel Tower. Amenities include an upgrade, if available; breakfast in your apartment; massages for two; and more. Connect with our Virtuoso travel advisor for rates. Available July 11 – September 25, 2016; book by September 18, 2016. 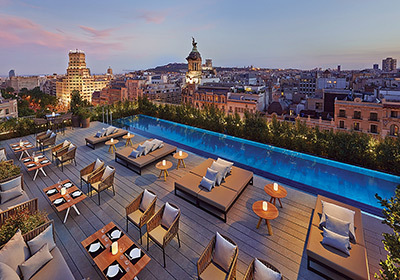 This summer, make your way to Mandarin Oriental, Barcelona and enjoy your fourth night complimentary, giving you more time to enjoy the delectable Peruvian cuisine of celebrity chef Gastón Acurio and your five-star accommodations. Opt for The Grand or Family Suite if you are traveling with loved ones. Virtuoso guests receive a room upgrade, if available; breakfast daily, and more. Connect with our Virtuoso travel advisor for rates. Available through September 5, 2016. 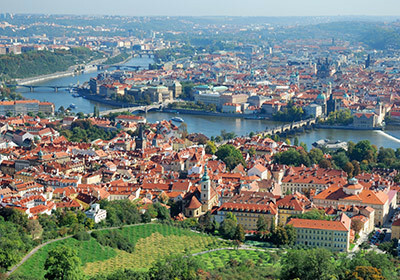 At the historic Mandarin Oriental, Prague, a restored monastery dating back to the 14th century, Virtuoso guests receive their fourth night free; a room upgrade, if available; breakfast daily; a $100 hotel credit; and more. The spa is the world’s only set in a former chapel; look below the glass floor for remnants of an early Gothic church. Connect with your Virtuoso travel advisor for rates. Available June 5 – September 5, 2016; book by September 1, 2016. 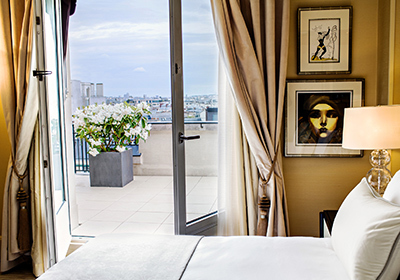 A jewel on the Avenue George V, Prince de Galles, A Luxury Collection Hotel is a vision in dramatic furnishings, marble floors and mosaics throughout all 115 rooms and 44 suites. Don’t miss the Michelin-starred La Scene. Virtuoso exclusive amenities include a room upgrade, if available; breakfast daily; a $100 dining credit; and more. Connect with our Virtuoso travel advisor for rates. Available until September 4, 2016; book by September 1, 2016. 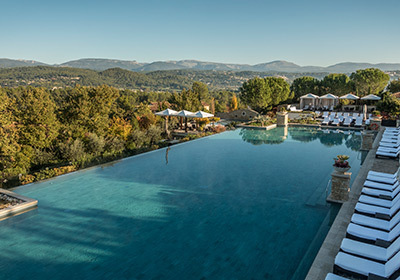 Dedicated golfers recognize Terre Blanche Hotel Spa Golf Resort as one of the world’s most elite spots to tee off – come for the fairways, stay for the extras, including complimentary access to the driving range, one complimentary 18-hole green fee per stay, unlimited spa access and much more. Connect with our Virtuoso travel advisor for rates. Available until July 14, 2016; book by July 10, 2016.